New Directions Publishing Corporation, 9780811220934, 142pp. 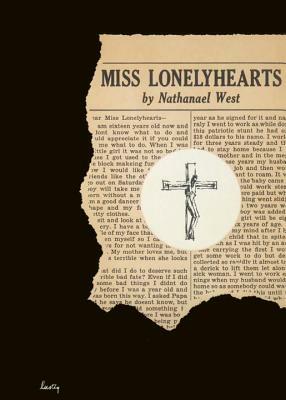 Praised by great writers from Flannery O'Conner to Jonathan Lethem, 'Miss Lonelyhearts' is an American classic. A newspaper reporter assigned to write the agony column in the depths of the Great Depression seeks respite from the poor souls who send in their sad letters, only to be further tormented by his viciously cynical editor, Shrike.